Note: The kitty body can be cleaned and baby powder can be sprinkled on it if it gets sticky. Please handle with clean dry hands. Do not get wet. 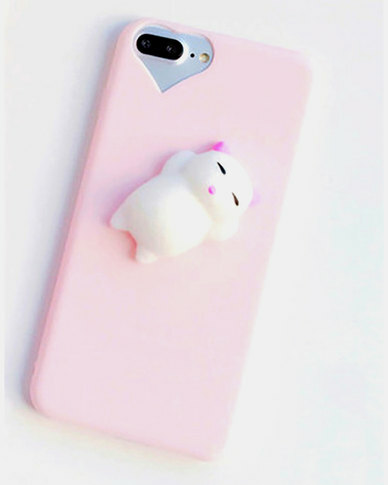 This adorable Naked Eyewear Squishy Kitty Cat iPhone 7 Cover is designed with a super cute 3D soft silicone cartoon animal that can be pinched and squeezed as a stress reliever and also provides shock proof. Poke it, squish it, rub it! This squishy is a cuter alternative to fidget spinners.